The horror continues. The American Horror Story TV show has been renewed for a seventh season on FX. The limited anthology series comes from Ryan Murphy and Brad Falchuk. The renewal comes as no surprise. In late September, Murphy said he was already working on what he described as his experimental “secret season,” with an unnamed writer who will pen all the episodes. Season six of American Horror Story stars: Evan Peters, Sarah Paulson, Lily Rabe as Shelby Miller, Denis O’Hare, Kathy Bates, Angela Bassett, Finn Wittrock, Wes Bentley, Matt Bomer, Lady Gaga, Cheyenne Jackson, Leslie Jordan, Cuba Gooding, Jr., and Jacob Artist. Get the details from this FX press release. LOS ANGELES, October 4, 2016 – FX Networks has renewed American Horror Story for the seventh installment of the hit limited series from co-creators Ryan Murphy and Brad Falchuk, it was announced today by John Landgraf, CEO of FX Networks and FX Productions. The Emmy®, Golden Globe® and AFI Award® winning series will return to FX next year for the seventh installment. The American Horror Story franchise has won 15 Emmy Awards and dominates FX’s top telecasts of all time. In P18-34, for example, 12 of the Top 15 most-watched FX telecasts in history are AHS telecasts. The premiere telecast of the sixth installment, AHS: Roanoke, is the third most-watched telecast in FX Networks history (out of over 160,000+ telecasts) in Adults 18-34 (behind only the premieres of AHS: Freak Show and AHS: Hotel); #5 in Adults 18-49; and #6 in Total Viewers. To date, the premiere of AHS: Roanoke has delivered a combined linear and non-linear audience of 13.01 million Total Viewers. On a Live+3 basis through its first three episodes, AHS: Roanoke is up +29% over the season average of the previous installment, AHS: Hotel, in Adults 18-49 (4.78 million vs. 3.70 million) and up +25% among Total Viewers (6.89 million vs. 5.52 million). American Horror Story: Roanoke returns with an all-new episode Wednesday night at 10 PM e/p on FX: “Chapter 4” – Written by John J. Gray; directed by Marita Grabiak. The fifth installment, AHS: Hotel, won two Emmy® Awards in 2016: Outstanding Makeup For A Limited Series or Movie (Non-Prosthetic) and Outstanding Costumes For A Contemporary Series, Limited Series or Movie. FX is the flagship general entertainment basic cable channel of FX Networks, a business unit of 21ST Century Fox. FX Networks is comprised of FX, FXM and FXX. Launched in June of 1994, FX is carried in 92 million homes. The diverse schedule features a growing roster of critically-acclaimed and award-winning hit dramas series, including The Americans, The Strain and the upcoming Taboo and Legion; the critically-acclaimed limited series American Horror Story, Fargo, American Crime Story and the upcoming Trust and Feud; acclaimed hit comedy series including the award-winning Louie, Archer, Baskets, Better Things and Atlanta. In 2016, FX received a basic cable record 56 Emmy® Award nominations and a basic cable record 18 wins, including 9 for The People v. O.J. Simpson: American Crime Story. FX is the former home of the critically-acclaimed and award-winning hit drama series The Shield, Nip/Tuck, Rescue Me, Damages, Sons of Anarchy and Justified. The network’s library of acquired box-office hit movies is unmatched by any ad-supported television network. FX’s roster of acquired hit series includes Two and a Half Men, How I Met Your Mother and Mike & Molly. What do you think? 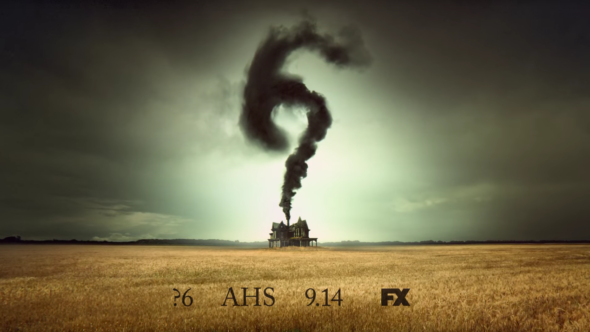 Are you watching the sixth season of the American Horror Story TV series? Do you plan to tune in for the seventh? Tell us. American Horror Story: Roanoke has been one of the most riveting seasons of this great series. It’s unfortunate that viewers didn’t have the patience to get throuugh the somewhat slow build of the initial episodes. I am hugely pleased that FX is keeping this great show going. Its loosing viewers constantly. the fact that they are choosing to make a show about the election means they had no direction until last minute, and frankly, i don’t think half the viewers will be tuning in to rehash Hollywoods disdain of Trump. We got it in the millions of commercials where they told us how to vote, already. We don’t need a tv show about it. So every year FX spends its promo budget to get barely OK ratings for the premiere, then the ratings drop like a stone and they want to keep making it. Great example of how badly Hollywood is currently managed when it’s more important for a little-watched network to have one show it can keep pretending does great rather than trying to have shows that actually do well.